Adopting an Italian Greyhound that needs a good home can be hugely satisfying and a life-enriching experience, providing that you and your lifestyle suit the needs of the dog, and that you are able to provide the love and care that the dog deserves. As Italian Greyhounds are still a relatively rare breed in the UK, and despite the fact that we are placing more and more Italian Greyhounds each year into adoptive homes, anyone wishing to adopt an Italian Greyhound through the Italian Greyhound Rescue Charity should be prepared to wait for the right dog for their situation to become available. If you decide to register with us as a potential adoptive home for an Italian Greyhound you will need to complete the form on the Register with the Rescue page. Please note that we assess the suitability of a potential home on a case by case basis. The perfect home for one dog may be completely wrong for another. We make no guarantees that you will be offered an Italian Greyhound to adopt. Prospective adopters should also be capable of exercising the dog on a daily basis and be of an age where the dog can reasonably be expected to see out his/her life with the adopter. Each time an Italian Greyhound comes into our care the dog is vet checked and assessed by our Rescue Team so that we have a comprehensive picture of the care that the individual dog needs, and what type of home is likely to suit the individual dog. Once we have a clear view of the needs of the IG we search our database of people who have expressed an interest in adopting an Italian Greyhound. For each dog we create a shortlist of homes that we think will provide a suitable environment for the dog. Our next step is to contact the shortlisted homes and begin a process that includes a face-to-face interview and a home check. Home checks are conducted by our volunteers, all of whom are experienced in living with and caring for Italian Greyhounds, and should be conducted with all members of the household present where possible. The home checker will do just that – check your home for suitability of the Italian Greyhound that is available for adoption. 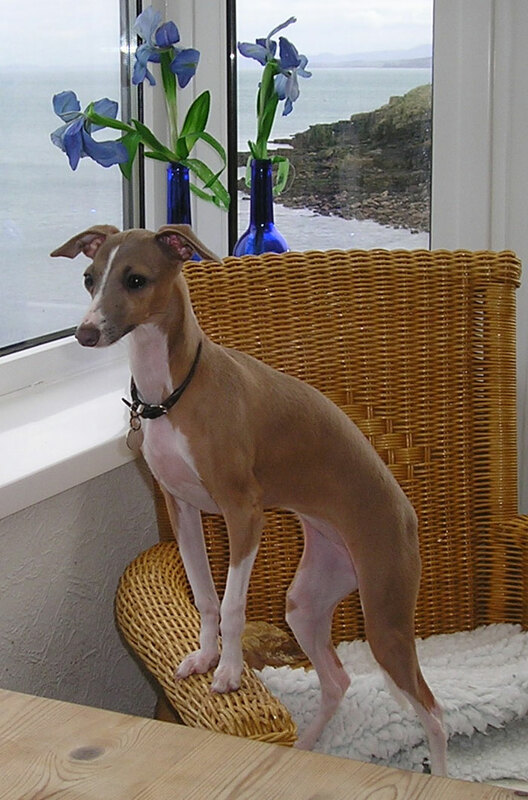 This will include reviewing your physical living accommodation both indoors and outdoors, looking for potential hazards for an Italian Greyhound, assessing your outdoor space for security and will make recommendations for any changes necessary to make the environment more suitable for an Italian Greyhound. We will not offer the dog into any home for adoption unless this process is completed and we are 100% satisfied that the dog will have the best home possible for his/her needs. If we are satisfied that a potential home is the right home for a dog in our care we will liaise with the individuals to arrange a formal adoption. We highly recommend that the new adopter provides insurance cover for their new dog. The formal adoption process requires any prospective home to agree to our terms and conditions of adoption . 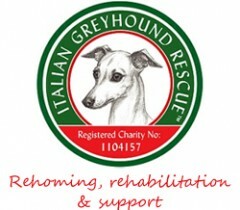 We will also ask a prospective home that is proceeding with a formal adoption to make a voluntary donation (minimum £175.00) to the Italian Greyhound Rescue Charity to help towards the costs that we incur in handling IG’s placed into our care, which includes veterinary fees for any treatment required, neutering, micro chipping, as well as transportation and general care. Once the formal paperwork is completed we will arrange with the new home how to transport the Italian Greyhound to the new home. We will keep in regular contact once the Italian Greyhound has arrived to check that the Italian Greyhound is settling into his/her new home, and also be on hand to give any advice and support that the adoptive home may need as they settle the dog into their home. We stay in touch with all of the Italian Greyhounds that have been in our care. You can see photos of just a few of them in our Gallery.